With the recent announcement that Segun Akinola will take over as composer for Series 11 of Doctor Who, we’re getting a better idea of the production team that will be helping to bring Jodie Whittaker’s debut series to life. But despite the series having begun filming, there is still no word from the BBC on which writers, apart from showrunner Chris Chibnall, are penning the new season. So we thought we’d suggest our own. Dominic Mitchell is the creator and writer of the supernatural drama In the Flesh, for which he was named Best Writer at the 2014 BAFTA TV Craft awards; the series went on to win Best Mini Series at the 2014 BAFTA awards. More recently he was lucky enough to work on HBO sci-fi show Westworld, serving as a supervising producer during the show’s first series as well as writing its fifth episode. If anything could keep Mitchell in the UK, we bet it would be Doctor Who! Welsh writer Debbie Moon is best known as the creator of British–German series Wolfblood, a fantasy teen drama series about werewolf-like creators known as wolfboods. The show ran for five series and won numerous awards, so clearly Moon knows how to keep her audience glued to the screen. Who knows what weird and wonderful creatures she could create for Doctor Who? Emma Reeves has been making a bit of a name for herself writing fantasy shows for young people, including comedy-drama Dead Gorgeous (an Australian-British co-production), Young Dracula and the recent revival of The Worst Witch. She even won a Writers’ Guild of Britain Award in 2016 for sci-fi show Eve, which she co-created. She has already dipped her toe in the Whoniverse thanks to Big Finish Productions, writing audio adventures for both Torchwood and Bernice Summerfield. We think it’s about time she moved on to the parent programme! Charlie Brooker is of course best known for being the creator of twisted anthology series Black Mirror, one episode of which featured none other than the Thirteenth Doctor herself, Jodie Whittaker! Prior to that, he was the writer of miniseries Dead Set, about a group of Big Brother contestants who have no idea that a zombie outbreak is occurring right outside their house. Brooker revealed in 2016 that he had actually been asked to write for Doctor Who once before but his schedule got in the way – maybe it’s time for a second go…? Issue #239 of Data Extract magazine, released last month by the Doctor Who Club of Australia, features a new interview with classic companion actor Katy Manning, conducted at the club’s Look Who’s Talking event earlier this year. 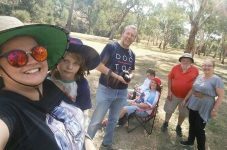 DWCA members were absolutely thrilled with the visit from their patron, whose last appearance at an Australian sci-fi event was the Lords of Time 3 convention back in December 2014. Here we present the interview that was conducted at that very convention, republished courtesy of Culture Shock Events. Hi Katy, welcome back to Australia. Australia is so much a part of my heart – thank you for the lovely welcome! Since you’ve been back in England, have you been approached to come back to do any work here? Yes! I must be honest with you – I’ve been very lucky. I’ve lived in three countries and managed to get work, and it’s even easier now because I can play old ladies! Once a year, I do a thing called ‘art’, which means I work for very little at places like the Edinburgh Festival. And last year, along with Susan Penhaligon, who was in The Time Monster, we played these dear old actresses who both had different stages of dementia. I’m not being disrespectful when I say this is not hard for me. People say, “What did you do yesterday?”, and I literally go, “I have no idea!” Life goes so fast, it’s wonderful. Speaking of playing older ladies, you played that old icon Bette Davis in your one-woman show ‘Me and Jezebel’. She’s been right across Australia, poor old bat. When I took Bette across Australia, we were right in the middle of the outback, and that’s where my heart is. You put a play on out there, and people get in a van, and they travel for three hours, and they bring their little kiddies with their little blankets, and they bring the picnic, and they’ve got everything there. One lady said, “We’ve never had a play here before! A lot of country and western music, and some very good Irish dancing.” So when I got up there and played nine people, including Bette Davis, they were all in gobsmacked amazement. 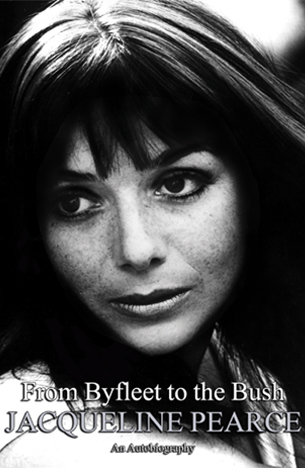 It was the most exciting thing I’ve ever done – taking theatre to people who don’t get theatre. I mean, Sydney is beautiful, Melbourne’s beautiful, but it’s the outback of Australia that is the true Australia to me. It really is remarkable. 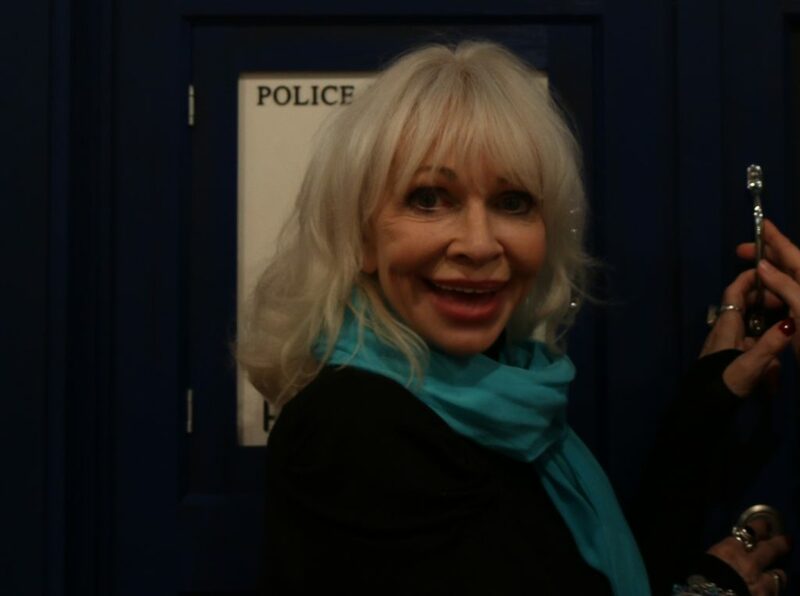 You seem to be very busy in England, no doubt due to your work with Big Finish Productions over the years – playing not only Jo Grant, but also Irish Wildthyme. I used to go back and do Big Finish, and do the characters in Terrance Dicks’ books, which are all men. I’ve never played so many Welsh miners and army men in my life! I thought I was a girl until I came out of there! But I’d just arrived from Australia to do a Big Finish, and I said, “What am I doing?” Gary Russell said, “Oh, it’s a new character”. So, Iris Wildthyme. I said, “Who is she?”, and Gary said, “Oh, just do a voice”. So I thought: every part of Northern England, that’s the voice I’m going to give, and then they can choose. Well, it stayed. Thirteen years I’ve been playing Iris. And of course I do Jo, and then I put Jo with Iris, and then I did a one-woman show that I wrote when I was living in LA called Not a Well Woman. It was Big Finish’s very first non-Doctor Who drama audio. I play 26 characters in it, which is no easy feat – from newborn babies crying, to old Australians, to Africans, to Greek men… so many characters in it. The most amazing thing that I had to do in it, though, was… there’s a rap song in it. But we couldn’t afford to pay the rights for a rap song, and it had to be a real gangster-like rap song – the ruder the better for the joke. So I was sitting there, and I said, “It’s okay, I’ll write the rap song”. So I ended up sitting there writing this rap song, which of course I had to sing. I had to do gangster rap. I’m an old, pension-carrying woman, and I’m sitting there, and I’m writing, “ridin’ with ma homies”, and it felt so right! I have to be honest with you – I was really proud of that. I did it all by myself, and we recorded it in a day. There were 26 voices, and I don’t do it like separate tracks, I do it all in one hit. 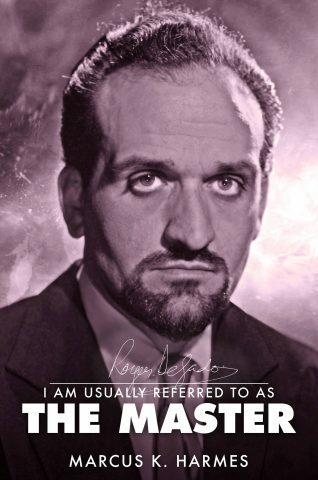 When I do Iris, and Jo, and Jon Pertwee, they’re all done as it comes off the page – and that’s why I’m nuts! You actually said many years ago that you didn’t really want to go back and do Jo Grant, yet now you’ve reprised her on audio and TV. What made you change your mind? I didn’t want to do her on audio. I remember saying to David Richardson, “Why would I do Jo without Jon? It just doesn’t compute.” He said, “Well you play Jon.” And the rest is history. Some time later, though, I was trotting along in the West End, trying to find this theatre. My phone rings, and it’s Russell T Davies. And he said, “We’d like you to come back as Jo Grant.” So I was sent the script, and I thought it was one of the most magnificent things I’ve ever read. I knew that Gary Russell would be script editing, I knew that Russell T is a genius and one of the loveliest men in the world, and of course on top of all that, beautiful Lis. So that was one of the greatest gifts you could give somebody – all of those things. And I got very nervous, but Lis was just wonderful, and to work with Matt Smith was such a treat. Lis said it was lovely, because having Jo gave her character an opportunity to lighten up, and I think the audience could see that. Interviews with Katy’s fellow Lords of Time guests, including Matthew Waterhouse, Terrance Dicks and Geoffrey Beevers, can be found in Issue #226 of Data Extract magazine, available for purchase here. Katy’s most recent interview can be found in DE #239, currently available exclusively to DWCA members. The DWCA is pleased to announce that we will be exhibiting at Supanova Comic Con & Gaming, being held at Sydney Showground from 15-17 June. 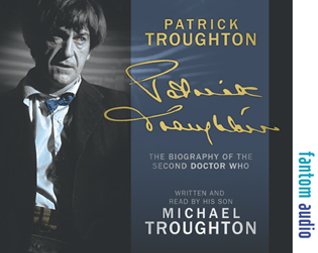 The DWCA booth (Stall #8005) will feature a variety of merchandise from across the Whoniverse, with DVDs and audio dramas featuring all your favourite characters – including Supanova guest Frazer Hines (aka Second Doctor companion Jamie McCrimmon). This is in addition to a huge range of graphic novels, sonic screwdrivers, action figures, Pop! Vinyls, mugs and other collectables. You can also sign up or renew your DWCA membership at the booth, as well as peruse back issues of the club magazine, Data Extract. So drop by Stall #8005 and say hello – you’ll find us right by the wrestling arena. We can’t wait to see you! The Doctor Who Club of Australia is pleased to announce the return of its Zerinza yearbook, and it’s full to the brim with interviews, fiction, comics and articles. From the archives you can read Nicholas Courtney discussing his career as the Brigadier and Dudley Simpson reflecting on everything from composing scores to street racing with Jon Pertwee. Go behind the scenes on Whovians with show researcher Pat Magee, then from in front of the camera with Adam Richard. Camille (Jackie Tyler) Coduri discusses the departure of Christopher Eccleston and the arrival of David Tennant, writers Jon Blum and Kate Orman talk about writing for Big Finish, and Titan artist Simon Myers discusses his covers for the Doctor Who comics range. 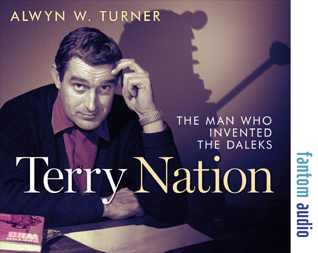 Plus the true story of how Rosemary Howe succeeded in writing the first ever novelisation of The Daleks’ Master Plan, without access to the script or ever having seen it! 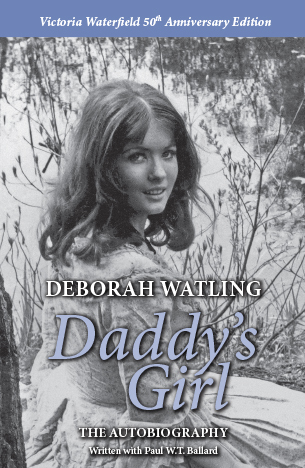 And just what did happen to Katy Manning on the drive to the recent DWCA day event? 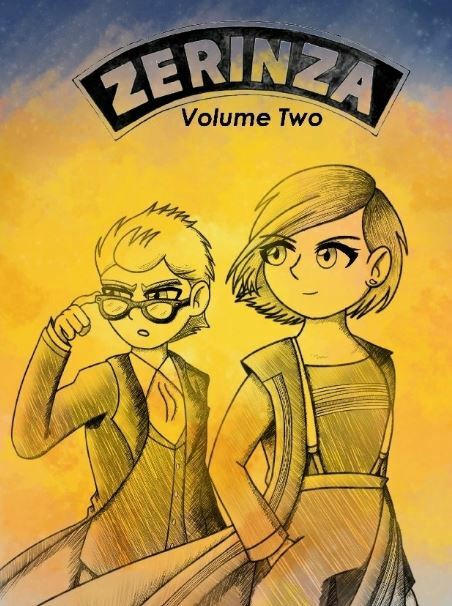 Featuring a plethora of content designed to entertain Doctor Who fans everywhere, Zerinza Volume Two is available now as a free PDF to all current DWCA members – so check your inboxes now for your download link from DWCA Publishing. If you are a DWCA member but you haven’t received an email, contact us at enquiries@doctorwhoaustralia.org. 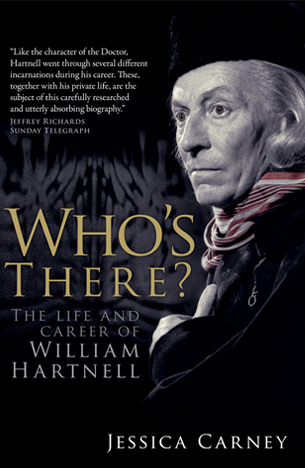 The book can also be purchased in hardcover or paperback formats via the DWCA Publishing store: www.lulu.com/spotlight/DoctorWhoClubOfAustralia. A very, very big thank you to the many talents who contributed to the pages of this release. We hope you will enjoy their efforts and look forward to bringing you more exciting content from DWCA Publishing in the future. 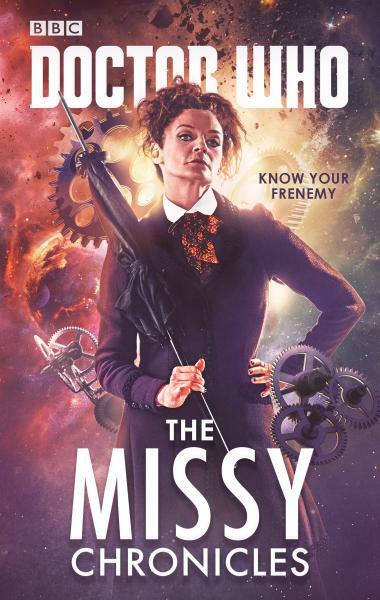 In celebration of Michelle Gomez’s upcoming return to the Whoniverse in The Diary of River Song – Series 5, announced by Big Finish earlier this month, the DWCA Book Club will be reading six short stories following the adventures of the Doctor’s favourite frenemy: The Missy Chronicles. The Missy Chronicles is available now will be discussed at the DWCA Book Club meeting on Friday 3 August. You can also comment on our Facebook page if you can’t make the event. Have you ever wondered what it would be like if River Song met the Master? Well wonder no longer, because thanks to the magic of audio drama, River will soon be locking horns with not one, not two, but four incarnations of the Doctor’s oldest foe! 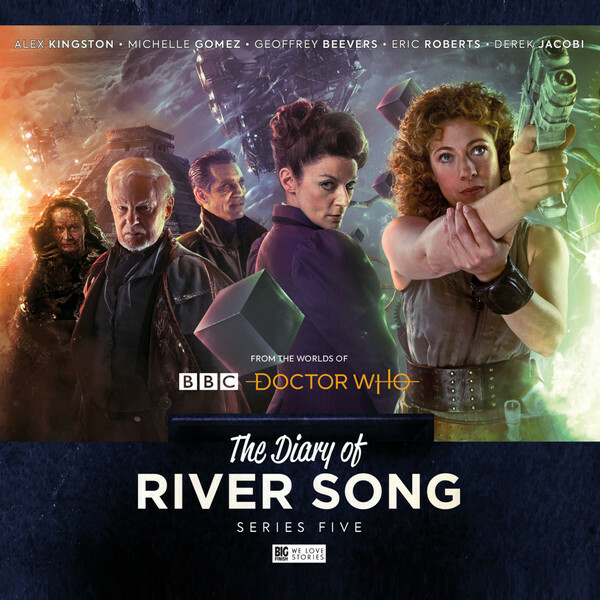 The Diary of River Song, Big Finish Productions’ spin-off series starring Alex Kingston, has seen River Song encounter the Eighth, Seventh, Sixth and Fifth Doctors – with the Fourth to follow later this year. Now our heroine is set to face her toughest challenge yet, meeting four Masters over the course of four hour-long adventures. Yes, TV Movie Master Eric Roberts will be returning to the role for the first time in 22 years, while Michelle Gomez’s Missy will become the first Twelfth Doctor era character to join the Big Finish family. They will be accompanied by Geoffrey Beevers’ decayed Master and Derek Jacobi’s War Master, the latter having recently starred in both his own series for Big Finish as well as the much-anticipated Gallifrey: Time War. The fifth series of The Diary of River Song will be available from the DWCA Shop in early 2019. The fourth series, featuring Tom Baker as the Fourth Doctor, will be out in late 2018. The third series, with Peter Davison as the Fifth Doctor and Frances Barber as Madame Kovarian, is available now. Ever since the Doctor’s granddaughter Susan fell in love during The Dalek Invasion of Earth back in 1964, there has been a clear trend of the Doctor’s female companions (some of them, at least) leaving behind life in the TARDIS in exchange for wedded bliss. 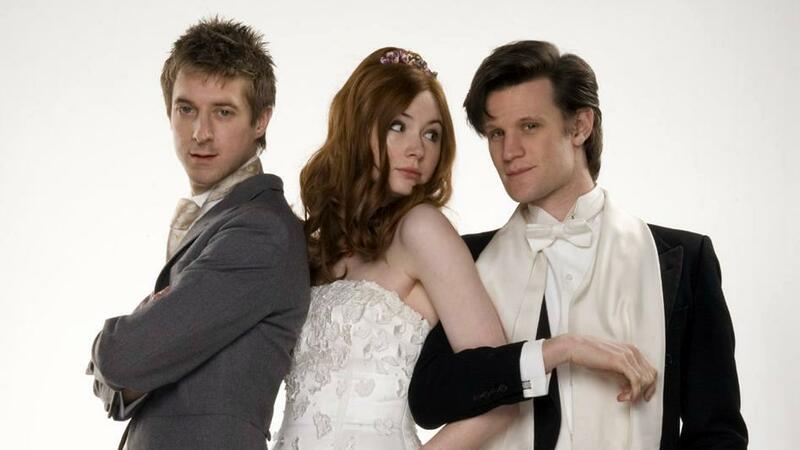 Fiery redhead Amy Pond, the first companion of Moffat’s tenure as showrunner, was having none of that, jumping back into the TARDIS before her wedding night was even over – with her new husband Rory in tow. Even after “officially” leaving the Doctor at the end of The God Complex, Amy and Rory found themselves dragged back into TARDIS life in Asylum of the Daleks and travelled with him on and off over at least ten years, before their eventual departure in The Angels Take Manhattan. Their status as “part-time companions” was one that was subsequently taken up by Clara Oswald and Bill Potts, showing that Moffat remained willing to subvert the traditional companion role for the remainder of his tenure. Unlike their companions, the Doctor’s own love life was somewhat lacklustre during the classic series, leading many to believe the character was in fact asexual. This all changed with the Doctor’s “first kiss” in the 1996 TV Movie, followed by the development of an intense emotional relationship with companion Rose Tyler in 2005. Steven Moffat went one step further, weaving a flirtatious relationship between the Doctor and River Song that overcame the rules of time itself – and ultimately culminated in their marriage in The Wedding of River Song. And while the wedding was apparently just a ruse of the Doctor’s in order to get River to kiss them and restore the correct timeline, further stories went on to confirm that their feelings for River were sincere all along. Nowhere is this clearer than The Husbands of River Song, the ending of which sees the couple looking lovingly into each other’s eyes. 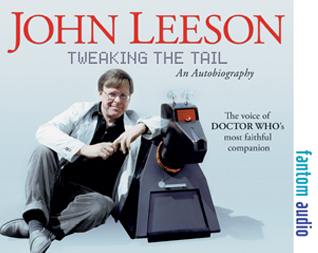 Long-time fans of Doctor Who were shocked in 2005 when the Ninth Doctor announced he was the last of the Time Lords – the result of then showrunner Russell T Davies wanting to wipe the slate clean for new viewers. Over the next eight years, fans gradually learned bits and pieces about the devastating war that had wiped out both the Time Lords and (most of) the Daleks. But while it was something of a surprise to see the last moments of the Time War covered in the 50th anniversary special, The Day of the Doctor, no one could have expected the story’s climax – the Doctor’s home planet of Gallifrey was saved! 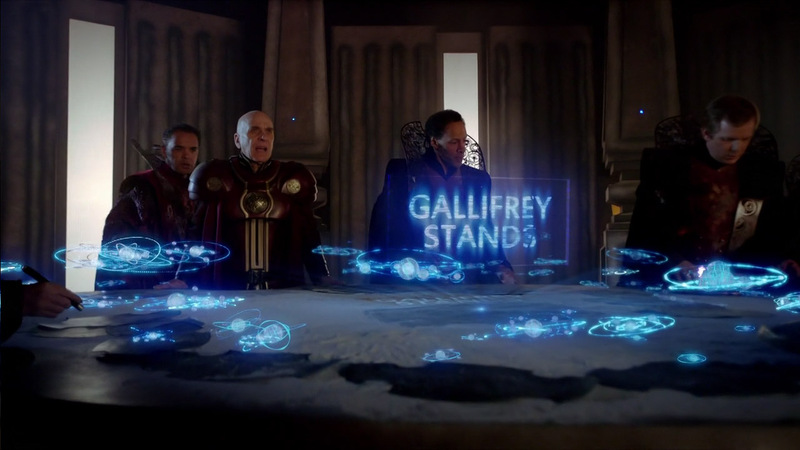 It was a bold move by Moffat to revise almost a decade’s worth of character development, but it just about worked, and has since allowed the Doctor to revisit Gallifrey in the Series 9 finale Hell Bent. Of course, we cannot mention The Day of the Doctor without discussing the elephant (man) in the room – the late, great Sir John Hurt, aka the War Doctor. Steven Moffat has made it known that he could never really picture Paul McGann’s Eighth Doctor fighting in the Time War, and so approached Ninth Doctor actor Christopher Eccleston about a possible return – an offer that was ultimately turned down. 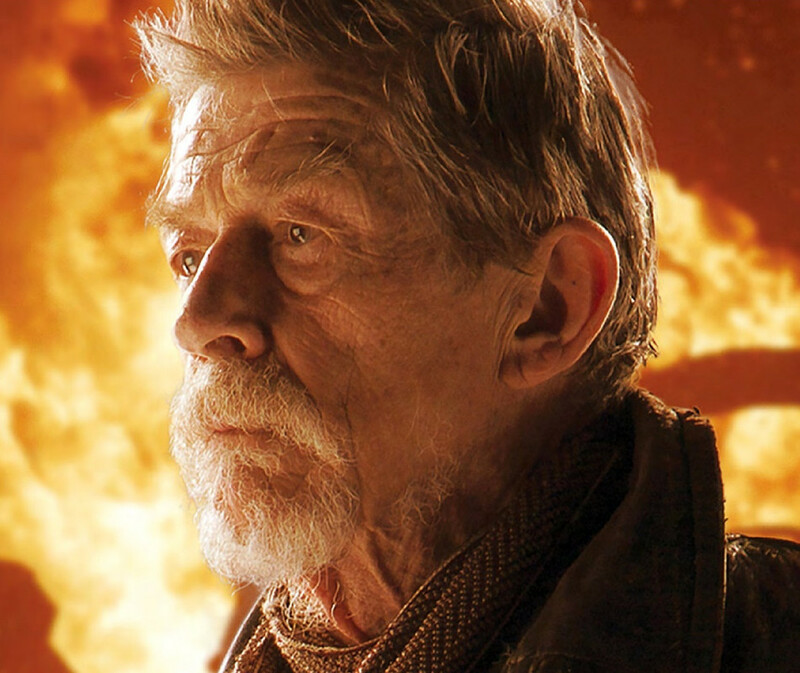 But rather than abandoning his Time War plot, the resourceful showrunner pitched the idea of creating a hitherto unknown ‘War Doctor’, ideally to be played by an actor of exceptionally high calibre: “Someone like John Hurt.” Little did he know that the role would go on to be accepted by Hurt himself, who was embraced by fans and even returned to the part in four audio drama boxsets for Big Finish Productions. The Doctor’s pre-TARDIS life has been shrouded in mystery, with our hero offering only a few anecdotes over the decades to indicate what they were like as a youngster (several of which point to a somewhat rebellious youth spent at the Time Lord Academy). 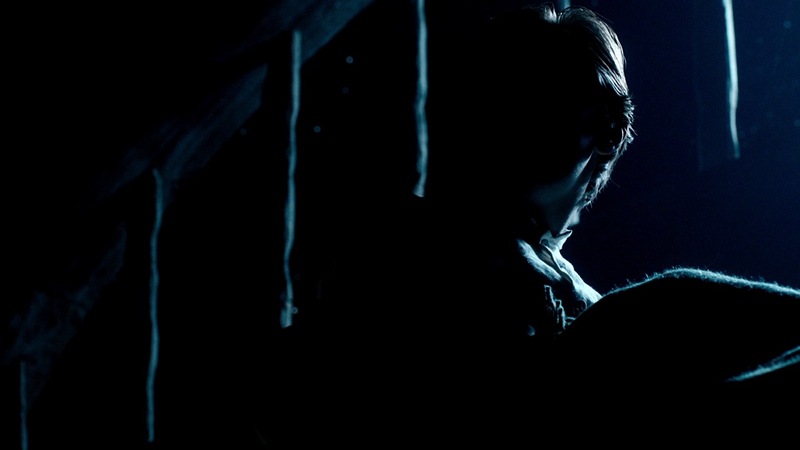 Moffat wound back the clock even further in Twelfth Doctor episode Listen, depicting a pre-pubescent Doctor (although we never see his face) sleeping in a barn on Gallifrey – apparently adjunct to a house he shares with several other young boys. When Clara impulsively grabs the lad’s ankle from the under his bed, she realises she has inadvertently become the source of her friend’s greatest fear. Her solution? To teach him that fear is a superpower; a force that will ultimately drive him to become the greatest and kindest hero the universe has ever seen. Clara’s influence on the Doctor’s life up until this moment has always been substantial – from telling them which TARDIS to steal to helping them avert the destruction of Gallifrey – but this moment truly trumps them all. This is the big one. 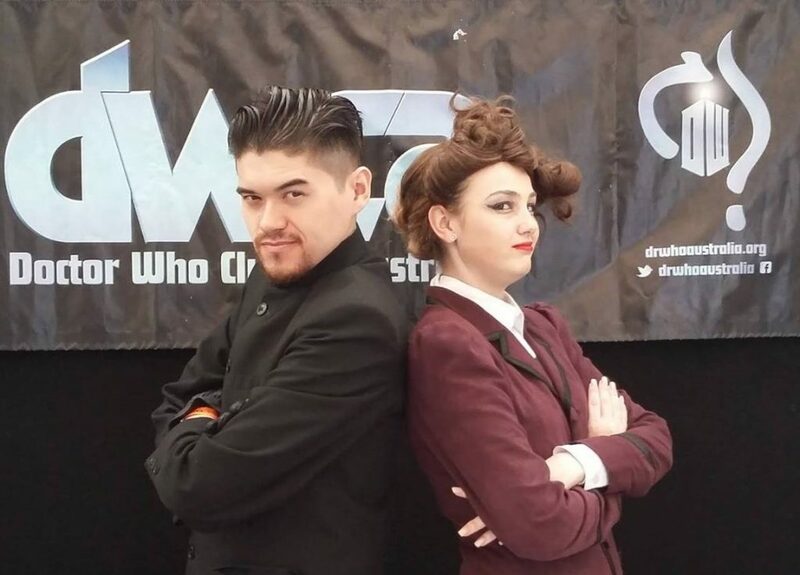 Over the course of the classic series, several Time Lords (and Ladies) appeared across various incarnations – but always retained the same gender. It was in The Doctor’s Wife, penned by Neil Gaiman during Moffat’s second series as showrunner, that viewers first heard anything otherwise, with dialogue indicating that the Doctor’s old friend the Corsair had experienced multiple female incarnations as well as male ones. 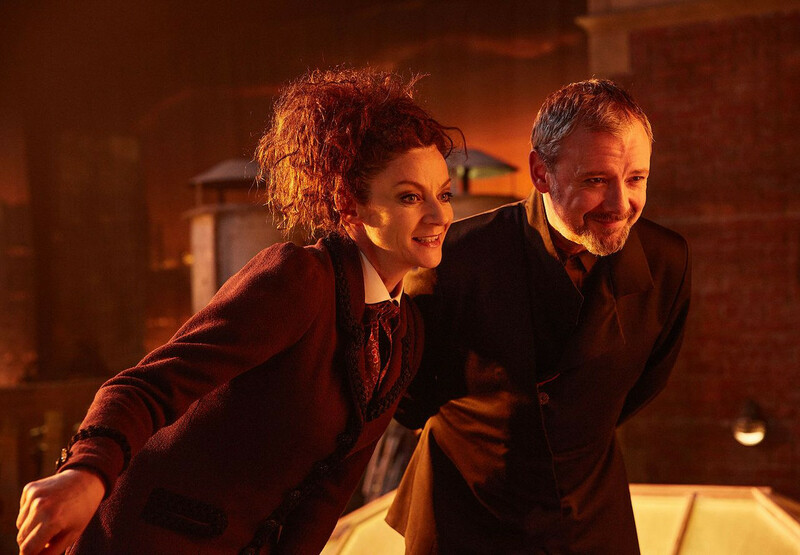 It was a revelation that Moffat would go on to revisit – three years later the character of Missy revealed herself as the latest incarnation of the Master, and one year later the process itself was depicted in Hell Bent with the regeneration of the Time Lord General. So while it was incoming showrunner Chris Chibnall who took the bold step of casting Jodie Whittaker as the first female Doctor, it was Moffat who laid much of the groundwork that allowed this to happen. In his tenure as showrunner, Moffat has shown a playfully flexible attitude towards the do’s and don’ts of Doctor Who, taking the opportunity to reinvent the mythology of the programme at several points with an almost gleeful mischievousness. And why not? After all, aren’t reinvention, adaptation and change key to the show’s survival? 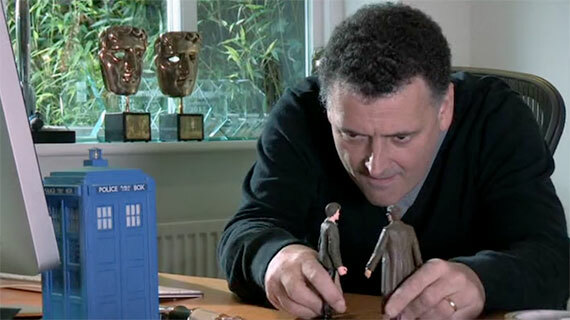 Our celebration of Steven Moffat’s time on Doctor Who is taking place on 27 May. Head here for more information and to grab your tickets. 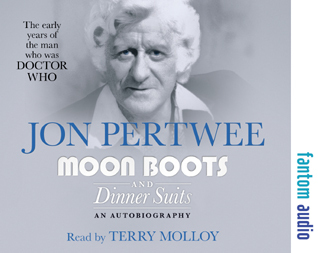 Are You Interested in Doctor Who Biographies? 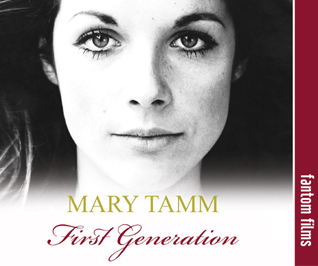 The DWCA Shop is looking to carry a greater number of non-fiction titles, particularly biographies and autobiographies. And we’re inviting you to come on this journey with us, by helping us select the books you’d most like to add to your collection! 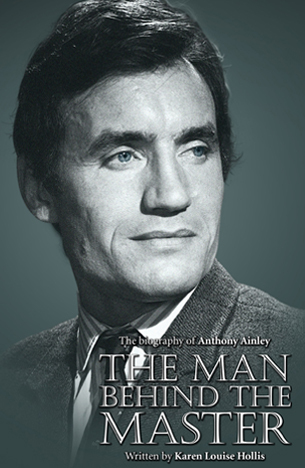 Pictured below is a sample of some of the titles the Shop is looking to acquire, including biographies and autobiographies of Doctors, companions and other prominent figures from our favourite programme. If you would consider purchasing any of the below, please send an email to shop@doctorwhoaustralia.org listing your preferred titles and formats. If enough people express their interest, it is our hope that the Shop will be able to stock the most popular titles in the near future. Until that time, no form of deposit or payment will be required. To view a larger version of each image with its caption, simply click on it.